DC Water is implementing its DC Clean Rivers Project to reduce the District’s combined sewer overflows into its waterways (Rock Creek and the Potomac and Anacostia rivers) by at least 96%. As part of this project, which broke ground in October 2011, green infrastructure (GI) field investigations are beginning today in our area. Green infrastructure technologies mimic natural processes by capturing, slowing, and cleaning stormwater before it enters DC Water's combined sewer system. DC Water’s Soil Borings Project Area. graphics and photos courtesy of dc water. DC Water expects to conduct soil borings at seven sites in Burleith from February 10–March 11, 2016, weather permitting. Only one site will be active at a time and each borehole is expected to take one day of work. Residents will still be able to access their garages and parking spaces during the work, which will be conducted between 7 am–7 pm, Monday through Friday. There will be no work performed on weekends or public holidays. All residents within the project area should have received a notification in the mail; residents on the blocks where the boring will occur have received a second and more specific notification as a door hanger. 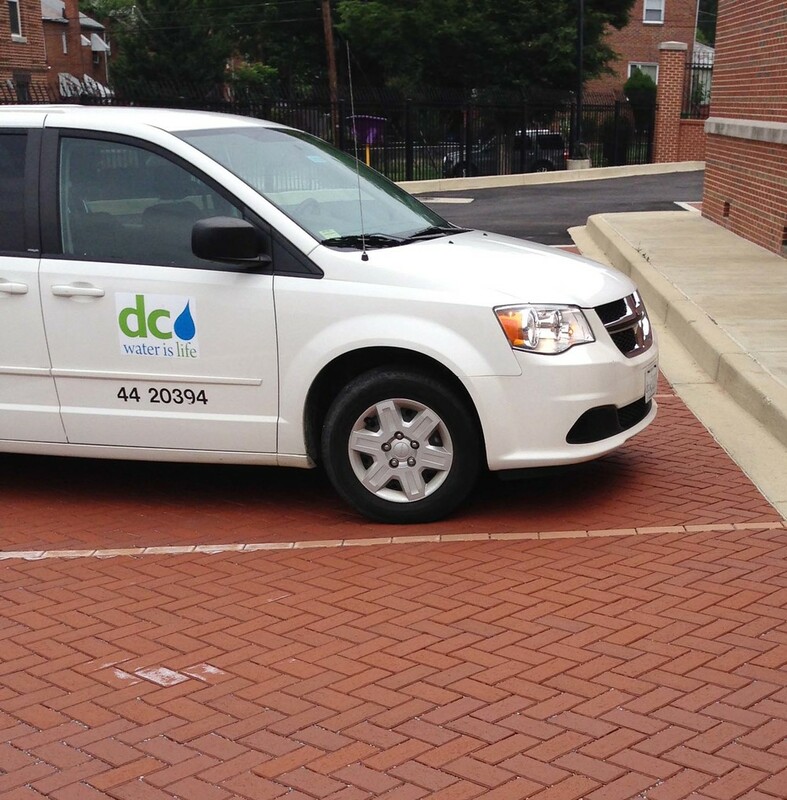 Pervious Pavers at Anacostia Water Pumping Station. The objective of these tests is to determine the permeability of the soil and its suitability for different types of GI. DC Water will implement the GI project starting in mid-2017. GI likely to be considered for Burleith includes permeable pavement in alleys. DC Water will seek public feedback on the proposed GI locations, once its evaluation is completed. While DC Water will do its best to focus on alleys that have not recently been improved, some of this work may involve repaving recently paved alleys. DC Water’s GI manager told BCA Board representatives that going forward DC Water and DDOT will coordinate to avoid redundant street and alley repair and improvement activities. DC Water’s Clean Rivers Project is the result of a 2005 legal agreement (amended in 2016 to include GI) between DC Water, the District, U.S. Department of Justice, and U.S. EPA. In addition to GI measures, this ambitious $2.6 billion project consists of a system of storage and diversion tunnels (grey infrastructure) to address a common issue with older cities: the combined sewer system, in which during periods of high rainfall, raw sewage combines with storm water and overflows into nearby waterways. About one third of the district uses this type of system, resulting in overflows of about 1.9 billion gallons (as of 2015) of combined storm water and sewage per year into Rock Creek and the Potomac and Anacostia rivers. The Clean Rivers Project tunnels will store this combined sewage until it can be released to the Blue Plains Advanced Wastewater Treatment Plant, reducing these overflows by 96–98%. For more information on the DC Clean Rivers Project, please contact Lilia Ledezma, green infrastructure public outreach coordinator, at (202) 787-4496 or lilia.ledezma@dcwater.com. green roof at East Side Pumping Station.